The Federal Reserve will continue its bond-buying program at full blast for at least another month, as the economic outlook remains too tepid to satisfy the central bank. In its statement, the Fed said that while the economy and labor market continue to improve, the central bank decided to "await more evidence that progress will be sustained before adjusting the pace of its purchases." Since last September, the Fed has been buying $85 billion in bonds each month in an effort to lower long-term interest rates, particularly on mortgages. The Fed plans to keep that strategy in place for the time being, and will re-evaluate the policy at its next meeting at the end of October. The program, which is the third round of a controversial policy known as quantitative easing, still doesn't have a scheduled end date. But Fed Chairman Ben Bernanke has previously said he expects to begin tapering off the purchases later this year, and to end them completely by the middle of 2014. Investors largely assumed that taper would begin this month, and have sent bond yields and mortgage rates soaring. But Wednesday's announcement caused stocks to rally as bond yields fell. 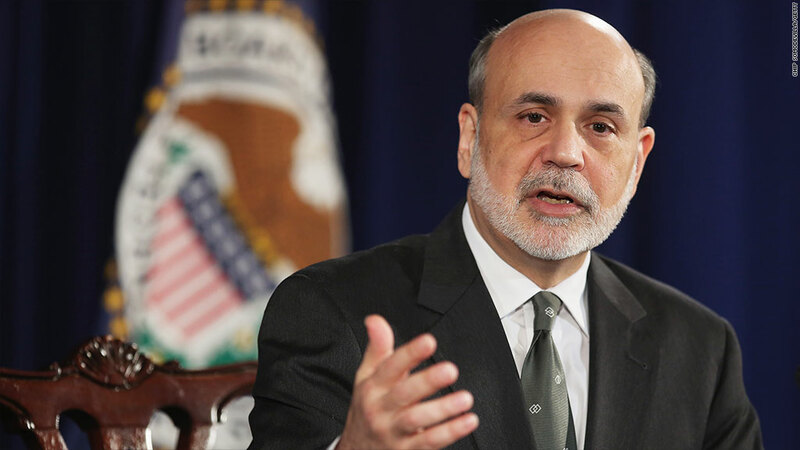 At a press conference following the statement's release, Bernanke reiterated that the tapering plan was never a "preset course," and explained that his original plan to taper this year is still on track, but depends on how the economy progresses. "We could begin later this year. But even if we do that, the subsequent steps will be dependent on continued progress in the economy. So we are tied to the data. We don't have a fixed calendar schedule." In the months ahead, one of the key looming economic risks comes from Congress' debate on the budget and the debt ceiling. If Congress can't agree on at least a short-term funding bill that President Obama is willing to sign, many functions of the federal government will be shut down indefinitely on Oct. 1. And if they don't agree to raise the debt ceiling, the United States could default on its debt. "A government shutdown, and perhaps even more so a failure to raise the debt limit, could have very serious consequences for the financial markets and for the economy," he said at the press conference. Related: Dear Mr. President: Name Yellen now! Fed officials expect the unemployment rate, which was 7.3% as of August, to fall to between 7.1% to 7.3% by the end of the year. They also signaled a slightly gloomier forecast for broader U.S. economic growth for 2013 and 2014, but maintained more optimistic expectations for the years beyond that. Bernanke has recently stressed that the Fed won't raise its short-term interest rate any time soon. The Fed repeated its ongoing goal to keep low interest rates in place until the unemployment rate falls to around 6.5%, as long as inflation doesn't accelerate beyond 2.5% a year. While the Fed's own forecasts predict they could reach the unemployment goal next year, 12 out of the 17 Fed officials who participated in the meeting this week still expect they'll keep the interest rate near zero until 2015. Of the 10 Fed members who vote on monetary policy decisions, only Kansas City Fed President Esther George voted against Wednesday's decision. 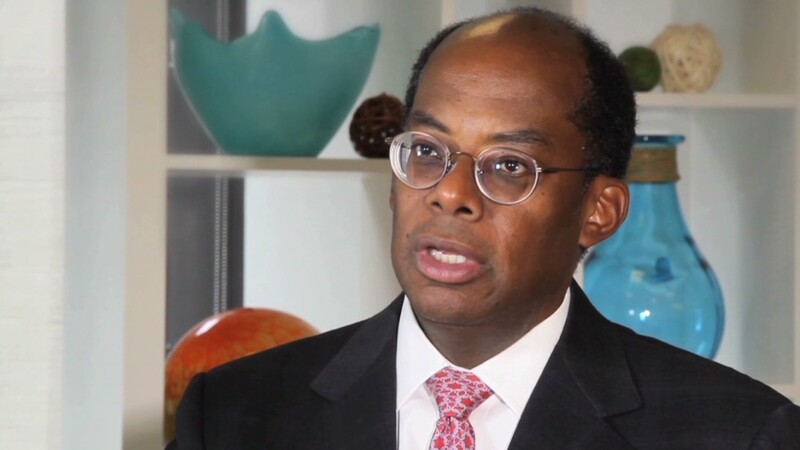 George has dissented at every Fed meeting this year, expressing concerns that Fed stimulus could increase "the risks of future economic and financial imbalances" and lead to a run-up in inflation over time.